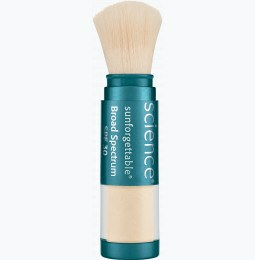 If you’re concerned about the ingredients in your sunscreen, Colorescience has you covered. Our sunscreens contain skin-friendly ingredients that will protect you from the sun without any irritating chemicals. Could sunscreen be damaging my skin? Is sunscreen safe? Wearing sunscreen is safer than wearing nothing at all, but some chemicals can cause allergic reactions. Certain ingredients can cause a fever or rash, while others have been linked to cancer. Many of these irritants are found in chemical sunscreens, so people turn to physical sunscreen as an alternative. What’s the difference between physical and chemical sunscreens? There are two types of active ingredients in sunscreens—mineral and chemical filters. Physical sunscreens use minerals like zinc oxide, titanium dioxide, or a mixture of both to create protective barrier against the sun. Chemical sunscreens use active chemical ingredients to absorb UV radiation before it gets to the skin. Chemical sunscreens typically cause more allergic reactions. What harmful ingredients should I avoid when buying sunscreen? Those who are sensitive to chemicals in sunscreen can experience redness, hives, rash, fatigue, dizziness, nausea, vomiting, or worse. If you experience any of these symptoms, check the label on your sunscreen for any of the following chemicals. Oxybenzone is the most harmful of these ingredients. This chemical can imitate estrogen, a female hormone that signals the growth of women’s reproductive organs. Its ability to mimic estrogen has been suggested as a possible cause of breast cancer, uterine cancer, endometriosis, and fertility issues. Parabens are another ingredient that mimics estrogen, although more research is being done on side effects. PABA is also a known skin irritant that causes one of the highest rates of allergic reactions among those who use chemical sunscreen. A non-PABA sunscreen can prevent irritation on highly-sensitive skin. 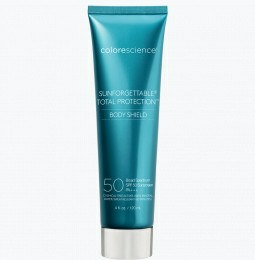 Where can I find safe sunscreen? 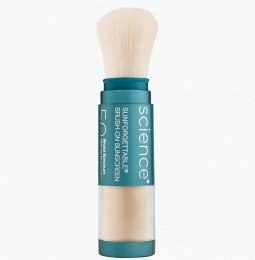 Hypoallergenic sunscreen powder from Colorescience uses mineral filters to reflect the sun’s harmful UV rays. Our all-natural sunscreen is made of zinc oxide and titanium dioxide--two organic ingredients that provide natural coverage without the harmful effects of other chemicals. 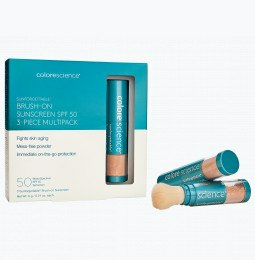 Colorescience Sunforgettable Brush-On Sunscreen SPF 30 is a fragrance-free sunblock that only contains the essential ingredients to keep skin nourished and protected. Our sunscreen is paraben-free, oxybenzone-free, and contains no other commonly irritating ingredients. 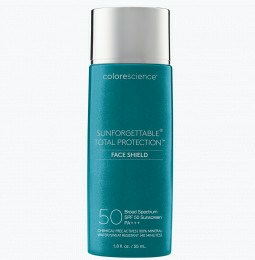 Colorescience is your source for safe sunscreen that will protect your skin.